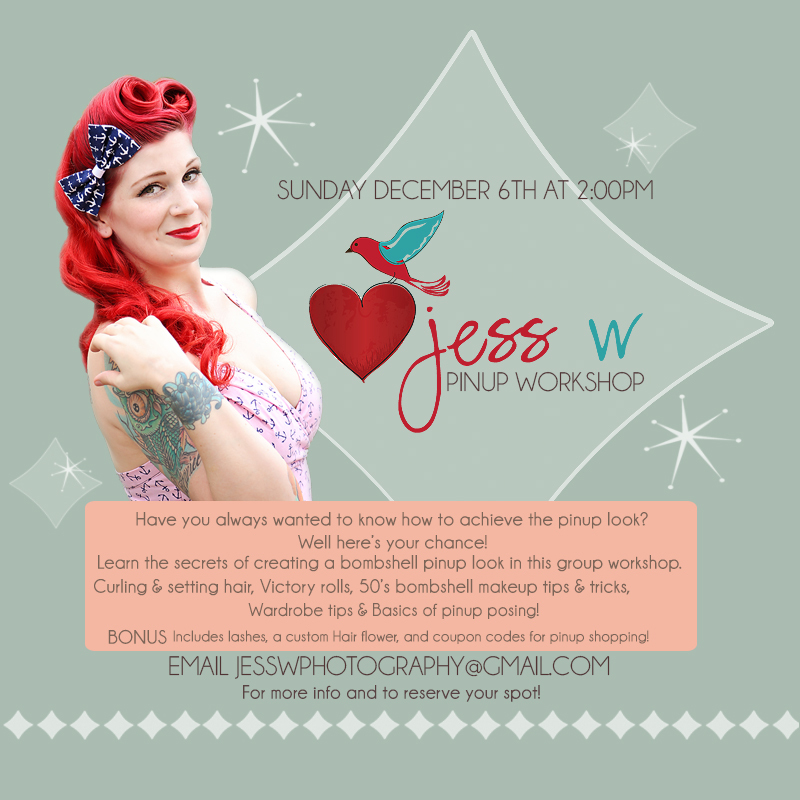 I have had a lot of ladies asking me if I would be hosting my workshops here in Las Vegas… Well, here is your opportunity to learn the pinup look in a fun interactive workshop with me! Booking is first come, first serve! I take small groups 6-8 gals max to ensure every gal is able to get one on one assistance and finish up in a timely manner. This is a hands on workshop! Two styles are taught seminar style (questions during the process are encouraged) and then It is time for you to try it as I help you along the way! Limited spots available. Email Jesswphotography@gmail.com for more info and to book your spot!